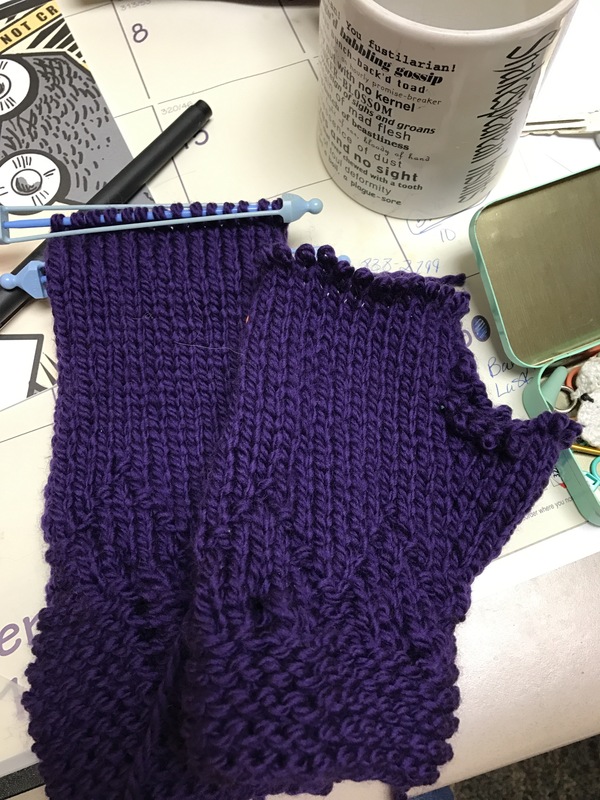 These were a last minute “I want to make something for Lori but what will I make her, oh yeah, I have that purple Cascade 128 and I could make mittens and, oh look! Those are pretty!” Type of project. 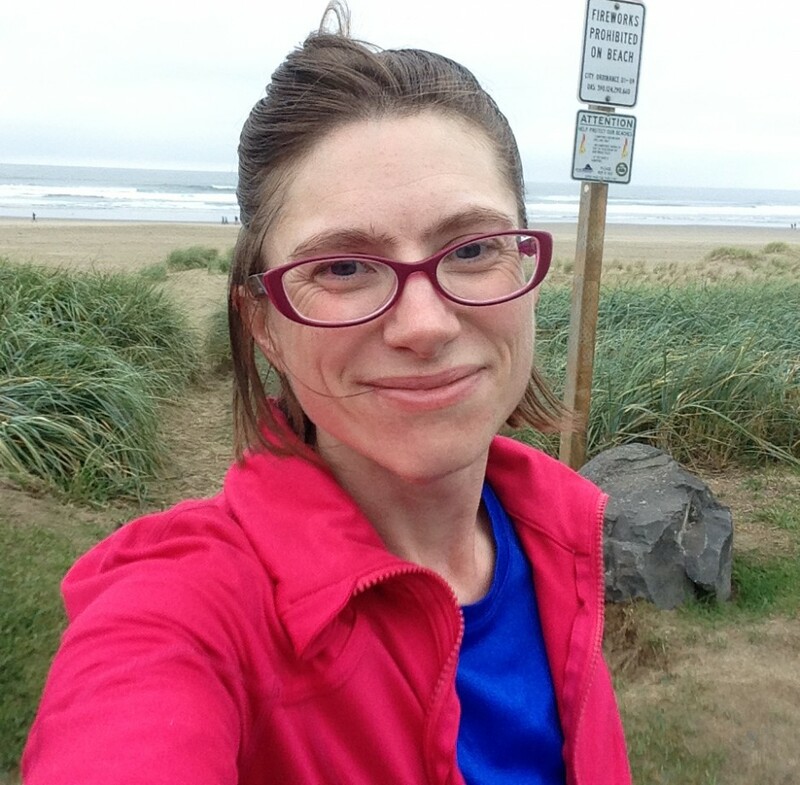 I decided that I would make this gift easy by just knitting to the pattern and not worrying about sizing or modifying. I didn’t even knit a gauge swatch. 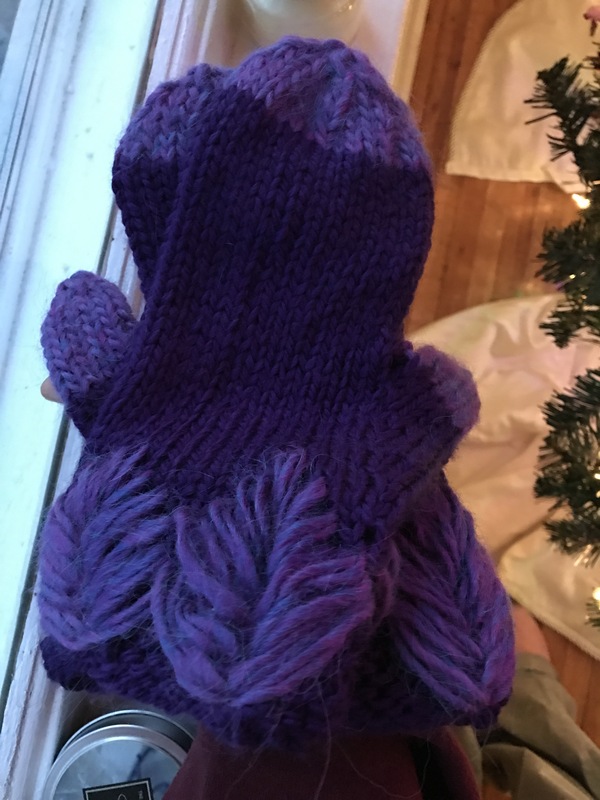 I knit all the way through the first mitten. Then I knit the second. And that’s where I ran into two problems: one, I ran out of yarn. I knew that I would probably run out so I had a plan in mind, and two, I had knit the two mittens differently. I had screwed up on one or both. When I scrutinized both mittens I can to the conclusion that I had knit them both wrong, in different way. So I unraveled both down to the third row and reknit them. 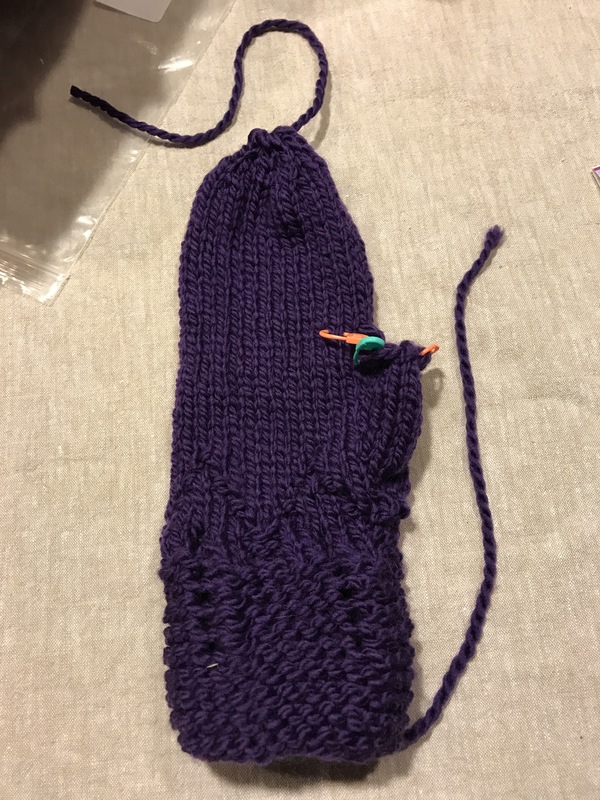 It was, at that point that I realized that I hadn’t originally knit the first mitten wrong. When I reknit both mittens I accidentally skipped the first 6 rounds of the cuff. But, by that time I did not have the heart to frog the mittens. In addition they were both now knit the same way and by making the cuffs shorter, my yarn went farther. So, I left them. The rest of the knitting went pretty smoothly. The pattern is very well written. It’s clear and even gives you clear guidelines on where to place the embroidery. And they really are lovely. One last note: I am not sure if the designer intended for me to work each leaf motif separately or to use the same length of yarn for one whole cuff. If she intended the latter, then I used about 4 times as much yarn for the embroidery section as the pattern indicates. Either way, I found that I had much fewer ends to weave in by measuring out enough yarn for 2 embroidery sections at once, rather than working each section separately. When I tried to measure out enough yarn for 3 sections it was too long and too unwieldy to work with.